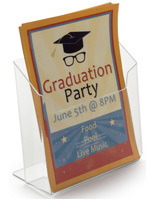 Clear Acrylic Easily Shows Printed Materials. Steadying Foot at Rear to Keep Display Upright. 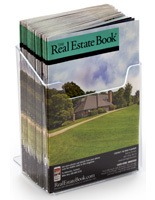 Easily Stores 6"w Programs or Catalogs for Customers. 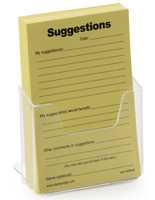 This plastic commercial literature holder is made of acrylic and designed as a 6.25” wide comment card pocket. 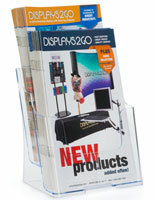 The business display is to be placed on desktops to be within the best viewing range of customers or clients. 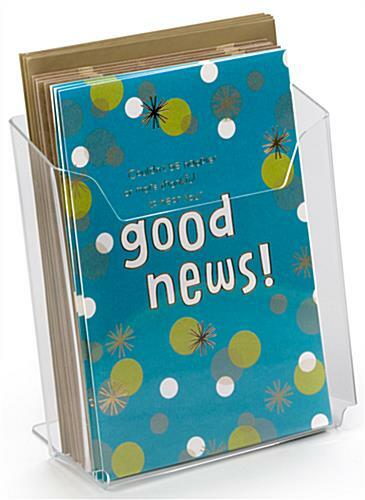 The literature holder with 2” deep survey card pocket is able to store many booklets or flyers so they don’t need to be filled as often. 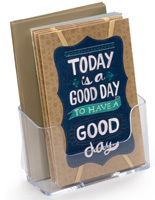 The desktop display is lightweight and able to be moved around whenever needed. 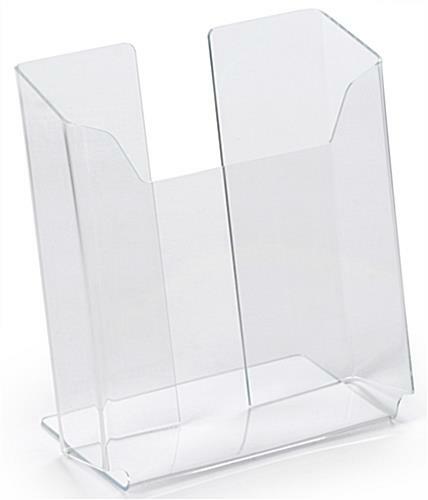 The holder has a high back and so is able to support full-sized literature. 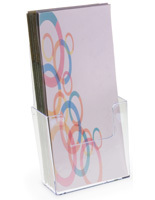 The notched front of the business flyer dispenser allows for people to easily grab the print materials that are presented inside. 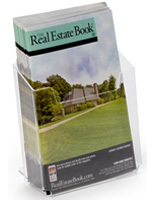 6.3" x 7.0" x 2.0"
Perfect size for our brochure! Fast shipping and a quality product. Your display looks gorgeous! Thank you so much for sharing this picture and for the great review!